THREE IRISH STUDENTS were facing what could only be described as a worst nightmare in Thailand when a fellow Irish couple came to their rescue – and they didn’t even know each other’s names. 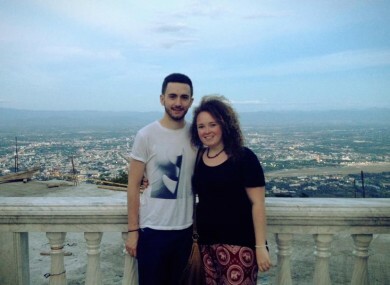 Julianne Ní Laoire and her boyfriend John O’Brien, both from Tralee, were waiting for a flight of their own in Thailand’s Surat Thani airport last week when they noticed three young women in a state of distress in the airport terminal. “We were waiting to fly to Bangkok from where we were going to be flying home. We were at the end of a three-and-a-half week holiday after graduating, when we saw these girls running around,” Julianne told TheJournal.ie. The girls in question were Sorcha Cotter, Maeve Nevin Maguire and Nicole Yap – students from UCC who were seeking to continue their summer holidays in Malaysia. Due to a mix-up the girls had accidentally over-stayed their visa in Thailand by seven days, something the airport authorities didn’t take kindly to. They were slapped with an on-the-spot fine of 10,500 baht (500 baht each per day), the equivalent of €300, and told that if they couldn’t pay they’d be taken to a police station and prosecuted. “This girl sat down beside me and just broke down in tears, she said their flight was already half an hour late and they had a problem with their visas. I was just like “it could be worse. you could be in hospital”,” says Julianne. What Julianne didn’t realise was that that €10 was the difference between jail and freedom for the three – pulling everything they had together (the girls were only able to contact one set of parents for aid, and all this took place at 5am Irish time) they had come up €12 short. We didn’t think about it again until we were coming home last Thursday, pulling into Tralee and reading the story of the three girls – we had no idea they could have gone to jail. As it was, Maeve, Nicole and Sorcha were all able to make their flight which must have been an enormous relief to put it mildly. Once settled from their experience they set about locating their saviours. As it transpired they have mutual friends on social media (all three girls attend UCC, from which Julianne (commerce and Italian) and John (geology) have just graduated). “From the bottom of our hearts we are so grateful for their kindness,” Sorcha Cotter said on Facebook. It’s so nice to know that no matter where you are in the world Irish people will always help each other out – even if it is just €12! You can read Sorcha’s Facebook description of her and her friends’ ordeal here. Email “This Irish couple saved three students from jail time in a Thailand airport”. Feedback on “This Irish couple saved three students from jail time in a Thailand airport”.